034 Motorsport has been on a roll recently with developing and launching new products for the B5/B6/B7 Audi A4/S4/RS4 platform that are low cost and high impact, such as the rear diff carrier mount inserts, and these front sway bar end links are another product that didn’t disappoint. Given (almost all) Audis are prone to understeer, and the front-heavy V8 S4 in particular, most S4 owners opt to upgrade the rear sway bar (such as the 034 25mm rear sway bar) but leave the front sway bar untouched to help counteract some of the understeer bias. 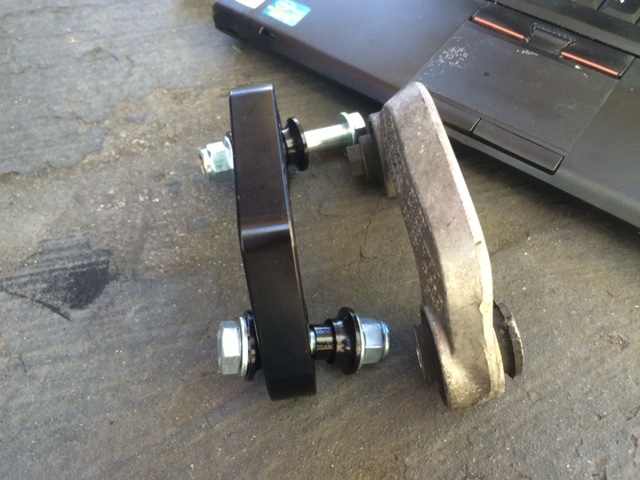 That makes sense, but 034 has come up with a great solution for that with these front sway bar end links that firm up the OEM sway bar without going overboard and making it too stiff up front. Installation was quite easy, requiring about 15-20 minutes per side, following the instructions on the 034 website. You’ll need a 15mm open ended or box wrench which isn’t a super common size – most tool “kits” skip from 14 to 16mm, so I had to buy one on Amazon before I could get started, such as this one: TEKTON 21321 15mm Combination Wrench . Otherwise, installation is quite simple, and there is lots of wiggle room to maneuver so it’s fairly hassle free. I’m far from a skilled mechanic but was able to complete installation in my car port in under an hour, which says something. You can see the before and after above – the billet aluminum construction not only looks nicer, but it’s lighter and more solid, too. The hardware is also better designed, removing a lot of the slop from the OEM design. It’s the maniacal attention to detail that 034 Motorsport is known for, and believe it or not these little things really make a big difference when you’re heading into a turn at the limits of your car. Driving around the front sway bar end links are a great compromise for the daily driver + occasional track rat such as myself – in daily driving these don’t impact ride quality whatsoever and are perfectly suitable for the street, but in hard cornering you can feel the front is slightly firmer and more planted, a welcomed change from stock. I’ve done so many suspension mods that it’s sometimes difficult to discern the exact impact of each change, but I can definitely feel a small yet noticeable impact in terms of hard cornering and steering inputs. 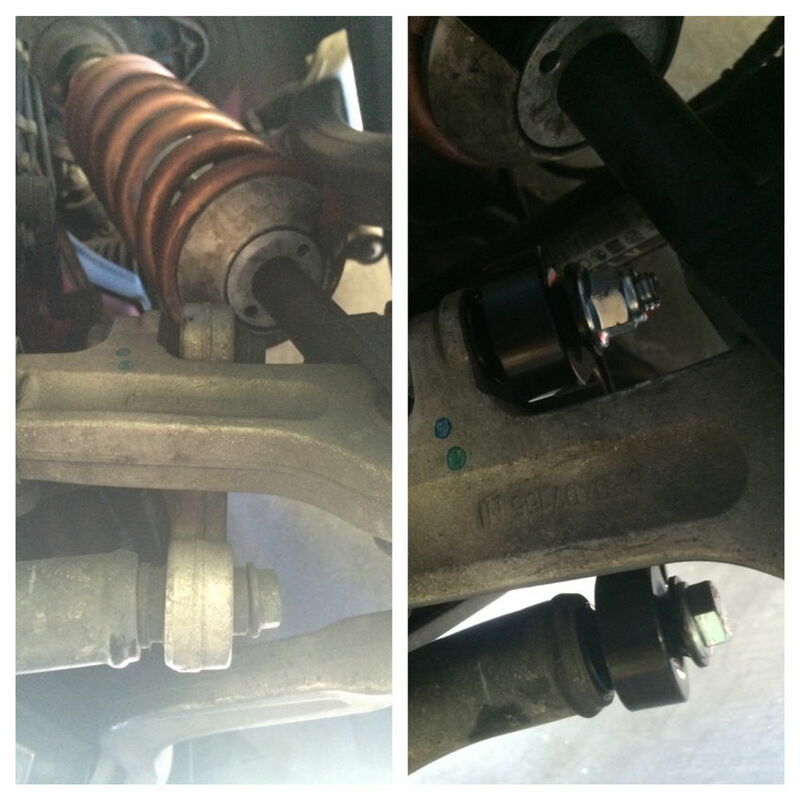 Having just got back from a recent track day, the car felt amazingly well balanced between this, my 034 Motorsport Rear Sway Bar, STaSIS/Ohlins suspension, and all of the other mods on the car – very little understeer (and sometimes minor oversteer! ), very little body roll, and an incredibly predictable steering response at every turn. For $195 this is another great mod, I’d recommend doing it at the same time as the rear sway bar and knock these out all at once, but if you do them one at a time you’ll be able to tell the difference. It should work on any B6/B7 body style Audi A4, S4, or RS4, as well as a handful of other vehicles listed on the 034 Motorsport website. Since this is something you can install yourself, you don’t need to budget more than $200 to get this done and see an impact on the way your car handles. If you really want to see the impact of this, try going to a skidpad or open parking lot and trying to drive in circles at as much speed as you can. You’ll notice the body roll and the car start to understeer, but modifications like the front sway bar combined with sticker tires will help improve your turning radius as well as keep the car’s center of gravity more planted. In racing it’s important to keep the car’s weight as close to evenly distributed over all four tires as possible, as the more rubber on the ground the more grip you’ll have, and ultimately the more throttle you can use. As you know, more throttle = more speed, and more speed = quicker lap times. Sway bars eliminate sway from left to right in the car, making it so if you’re turning left then your right tire are still firmly planted on the ground, and vice versa. This will also help with more even tire wear, and allow Audi’s quattro system to work it’s magic. Cheers to the folks at 034 Motorsport for continuing to innovate and supporting the platform. It’s been a solid 10 years since this car stopped being produced, and 034 is still coming up with new and better ways to improve its handling and put smiles on the faces of owners everywhere. Is there a DIY for these links? “Given (almost all) Audis are prone to oversteer,” – I’ll keep dreaming of the the day this happens! 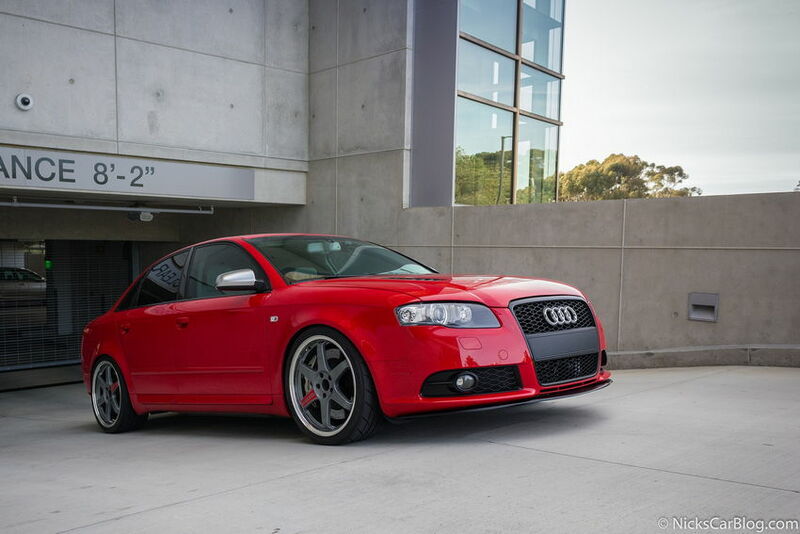 Love the blog by the way – having purchased a B7 05.5 A4 2.0T FSI Quattro this has been a fantastic knowledge base! Lol whoops! Yeah, that was a typo, or maybe wishful thinking on my behalf too 🙂 Fixed, and thanks for the kind words! Awesome – Also just wondering – have you had any experience with the high bias centre diffs offered by either JHM/Stasis or and LSDs? I’d imagine the centre diffs would really come into their own on the track however for a daily I’m a bit sceptical.